I just wanted to send out a quick "THANK YOU" to Rob for all his hard work last year on coming up some pretty great looking artwork for our T-Shirts, hat's, bag's, mouse pad's and everything else you could imagine. All of which are available here. 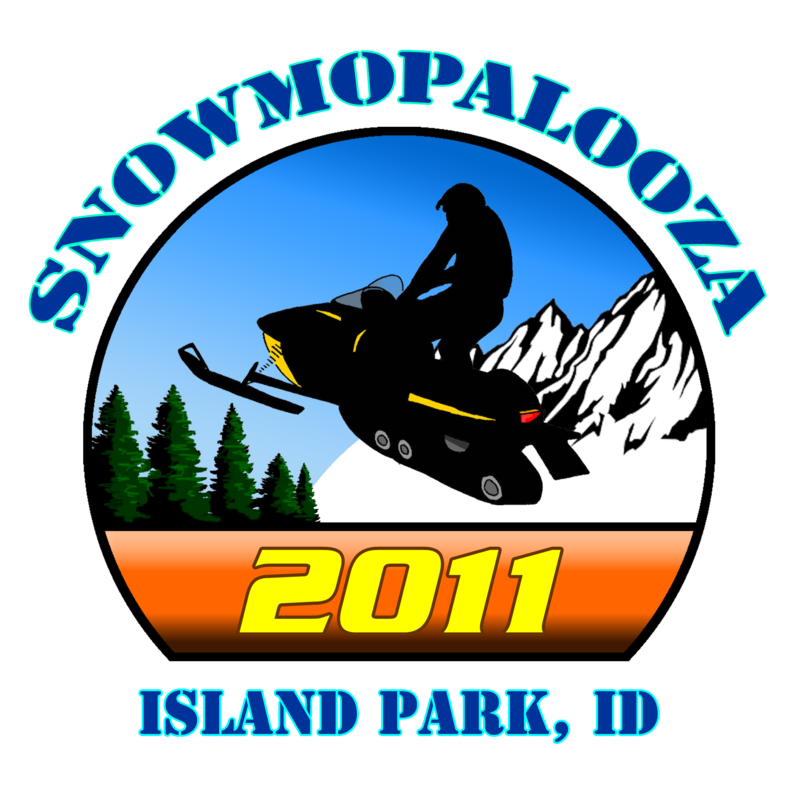 Snowmopalooza was started many years ago by a bunch of friends who got together to go skiing in the Northeast and decided to take one day from their skiing to go snowmobiling. We have come a long way since then and now focus on week long excursions all over the United States in search of DEEP snow and great sledding. This is the first time since we started heading out west that we found a place that we have returned too. There have been a few others that are on the return list but for several reasons we are heading back to Island Park, ID this winter. A combination of good trails, accessible fuel stops and great food has won us over. Last year we missed two people but it was for a very good reason (they were bring another sledder into the world), good news is that they are back this year. Last year we also picked up another couple and we are hoping they will be able to join us again this year as well. As I come across information for this years trip it will be posted here. Check back often!!! The pictures from years past will have to be re-organized at some point in time. I will send out an email when I get a moment to all the picture providers to send me their links again. Thanks!